Payment Plans Available Your course fee is payable in up to four parts. The first payment (registration fee) of $337.25 is processed upon enrolling. The remaining three payments are due 30, 60 and 90 days after your class begins. Shipping for the workbook will be charged with your first payment. Payment plan fee is $50. 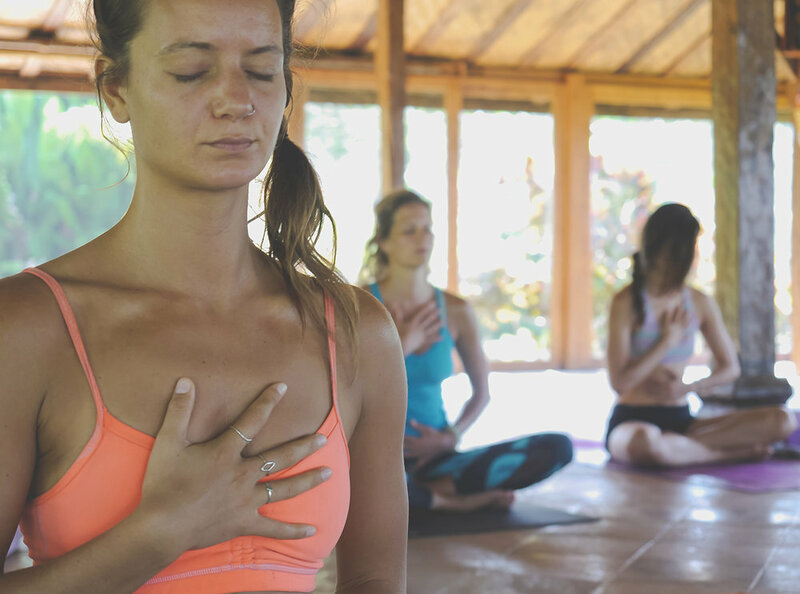 Yoga2Life Coach Training will tap into your yoga experience, allowing you to intuitively connect deeper and develop your expertise to move through blocks and create on-going collaborative partnerships. Learn how to guide yourself and others through key transitions and personal breakthroughs. Telesessions are conducted via live conference call. Each week you will discuss new material, practice it in class and then incorporate it into your way of being. For 12 weeks, you will engage on the phone for 1.5 hours each week with your trainer and your fellow class mates. Classes are taught in an intimate setting, with a maximum of 12 students, to allow for individual attention, connection with class peers and an environment of focused learning. Yoga2Life Coach training creates a personal practice to develop you as a confident and competent guide. If you miss a class (or part of a class) recordings are available to participants only, however, requirements for certification and graduation stipulate that participants miss no more than two total classes. In addition to the live yoga coaching, you will reference the course material to fuel your experience, inspire your personal growth and strengthen your coaching skills. Become a Yoga Life Coach in just 12 weeks. The 12 week comprehensive Yoga2Life yoga coaching program focuses on five major areas to integrate existing experience and skills with your evolving expertise as a yogi and Mentor Coach. Each yoga coach training session is structured in an intelligent, sequential order which is designed to accelerate your progress. CARRIE FRASER is an E-RYT who has taught thousands of students across the country, led over 20 teacher training programs and has been the featured guest for different yoga retreats. She is a mother, life coach, adventure seeker, avid yogi and an equestrian. If she’s not teaching or taking yoga, spending time with her family, enjoying Colorado’s amazing outdoors, you can most likely find her riding her event horse, Shanti. Carrie enjoys educating, empowering and supporting her students along their path. She lives to share the power of yoga with others and describes both her practice and teaching as her “glue”, considering it literally held her together through some tough years.